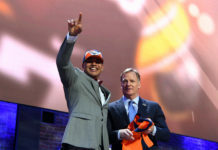 It has been an interesting offseason for Denver Broncos fourth-year linebacker Shane Ray. In hopes of making an impact in 2018, the former first round pick elected not to have surgery on his wrist during the offseason but we have yet to see if Ray will be able to stay on the field. When healthy, Ray has showed glimpses of the kind of electric pass-rusher that he can be for the Broncos. In 2016, Ray recorded eight sacks, two fumble recoveries and 33 total tackles, despite only actually making eight starts in 16 games. Ray looked like a different player in 2017 though. The Kansas City, MO. native played in just eight games total last season, starting seven of them. In those games, Ray was not very effective, as he only recorded 10 total tackles and one sack. 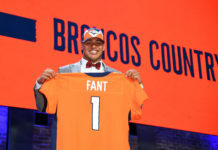 Considering that this is a contract year for Ray-the Broncos used a first round draft pick on Bradley Chubb and also brought in undrafted free agent Jeff Holland, who recorded 9.5 sacks at Auburn last season-it is not surprising that Ray is looking to get back on the field and make a better impression for the organization. According to Ray, the versatile outside linebacker has no current limitations to his game and he will physically be able to compete. Obviously he will proceed with caution and look to avoid risking another injury before the season even really begins. But, as an edge-rusher, Ray’s ability to use both hands is going to be crucial, so it is a good sign that the 25 year-old feels there are no current limitations to his game. “We tried some things out. I got a splint made-a protective splint-and I was out here using it today and it felt great,” Ray said over the weekend. Along with getting right physically, part of Ray’s approach to getting his mind right was eliminating his social media presence. 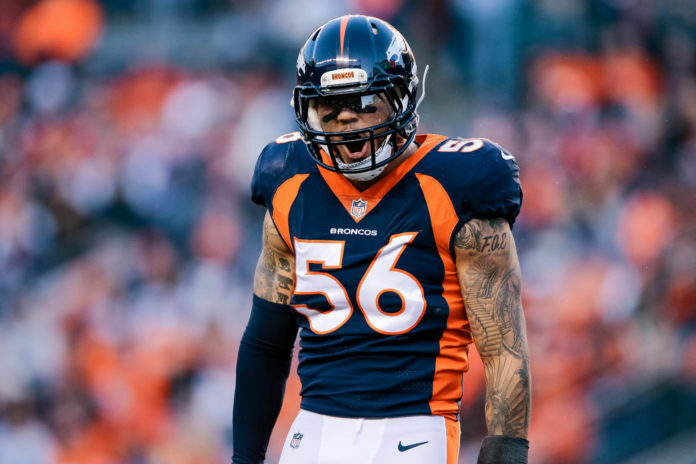 Time will tell if Ray’s approach this offseason will pay off, but with a variety of young talent in the mix and consistent performers like Von Miller and Shaq Barrett on the roster, 2018 is certainly going to be a massive year for Ray’s future career in Denver.